The Bridal Mingle is this Sunday! Ladies, did your significant other just put a ring on it? Looking for tips on getting the best out of those all-important engagement and wedding photos? Or maybe you’re in search of a wedding consultant who can make yours an event to remember? 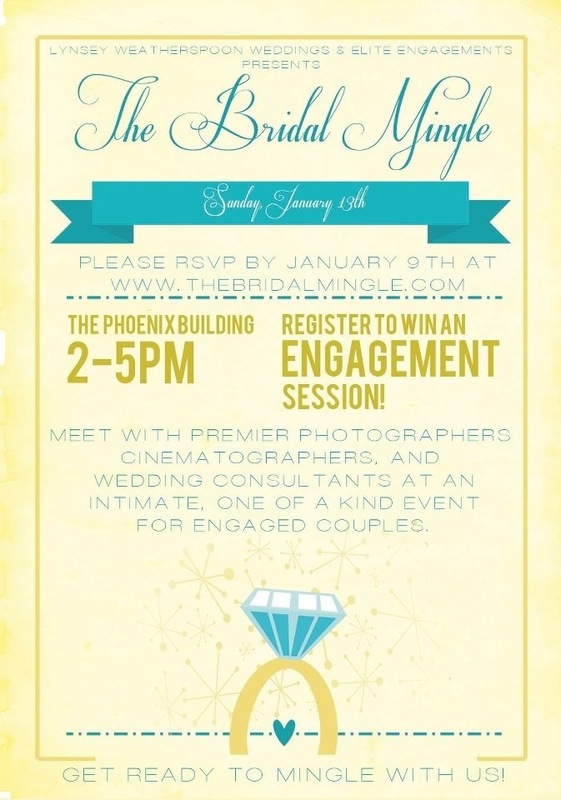 Then join Lynsey Weatherspoon Photography and Elite Engagements for The Bridal Mingle this Sunday, January 13 at the Phoenix Building! One lucky bride will win a free engagement session! RSVP by January 9th; register for your FREE ticket HERE, and click HERE to enter the giveaway (you must be present to win! ).